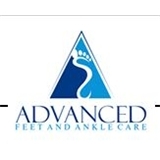 Advanced Feet and Ankle Care (Old Bridge) - Book Appointment Online! Our office provides comprehensive foot and ankle care through our centrally located offices at 2433 Highway 516, Old Bridge, New Jersey and 53 Main Street, Sayreville, New Jersey. The office staff is courteous and will gladly setup appointments or assist you in any way to make your visit with us as pleasant as possible. Our goal is to provide the highest quality services to our patients and community in the most cost effective manner. We are specialists in the care of foot and ankle conditions. Our patients include infants, children and adults. We are centrally located with most local hospitals and surgical centers. We have developed extensive relationships with all levels of the health care community, enjoy referrals from physicians and patients, and are available for consultation with health care providers throughout the State of New Jersey. I liked that the doctor explained everything to me!